Whitmore High recently welcomed Tim Penn, a Welsh Government Business Champion. He visited to speak to year 8 and year 9 pupils about the importance of continuing with the learning of a language at GCSE in order to compete within a global platform in the future. 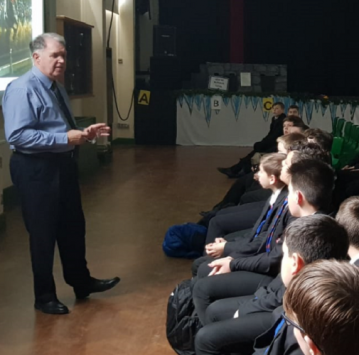 He challenged the pupils to reflect on their future career choices and to remember Welsh employers will be looking for people with the language skills to compete in a global economy.